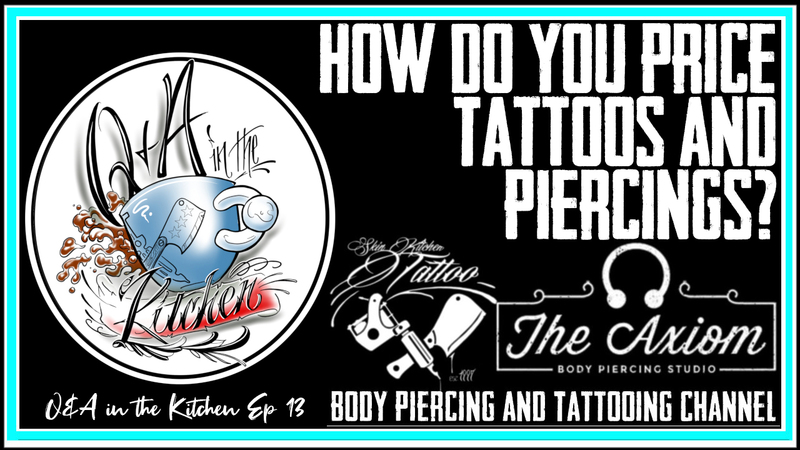 Q&A in the Kitchen Episode 16 - The first episode of three with our special guest Tattoo Artist Sherry Sears of Creative Images in Des Moines, Iowa. 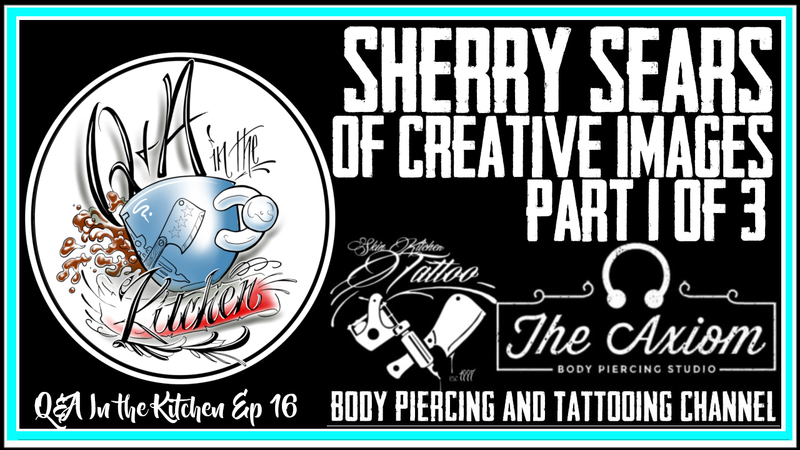 Sherry has been a tattoo artist since the 1980s and the discussion covers how Tattooing and the Body Art Industry has changed over the past four decades. 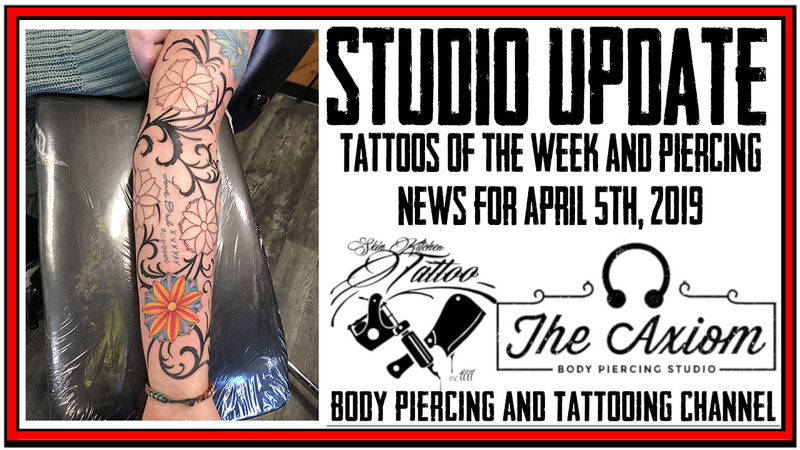 The latest Updates and News from Skin Kitchen and The Axiom Body Piercing Studio for April 19th, 2019. Tattoo of the Week by Westley Dickerson(Jack Lowe is on Vacation), and updates on what DaVo has been up to this week including highlights of his birthday weekend trip to the Shedd Aquarium in Chicago. 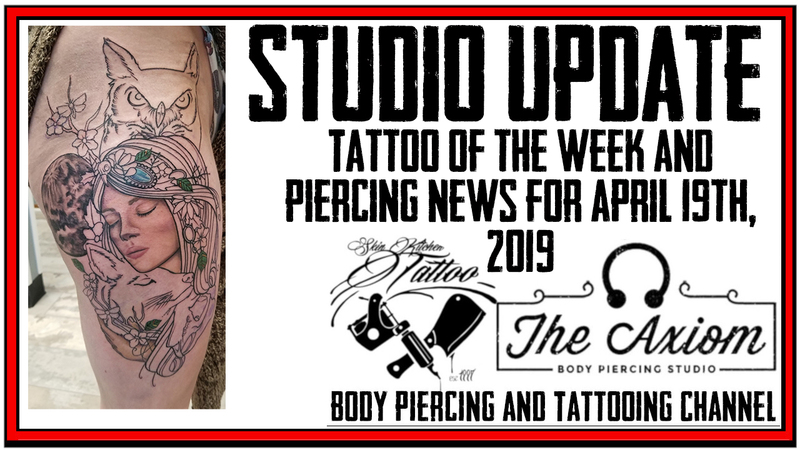 The latest Updates and News from Skin Kitchen and The Axiom Body Piercing Studio for April 12th, 2019. Tattoos of the Week from Jack Lowe, and Westley Dickerson, and updates on what DaVo has been up to this week. 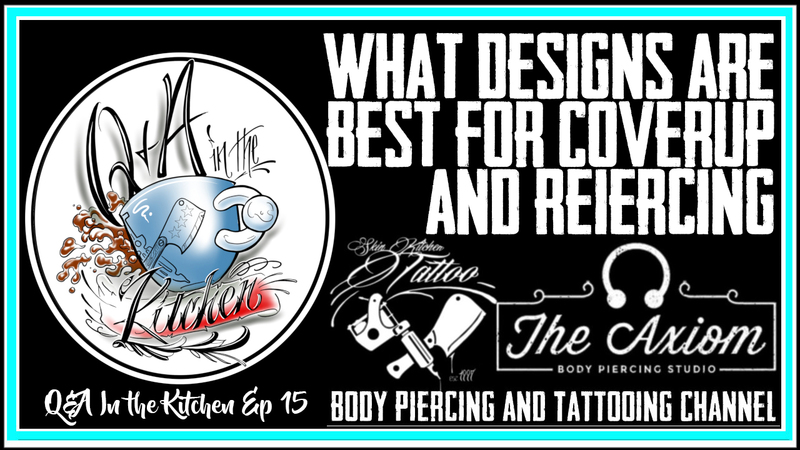 Q&A in the Kitchen Episode 15 - What Designs are Best for Tattoo Coverups & Re Piercing. 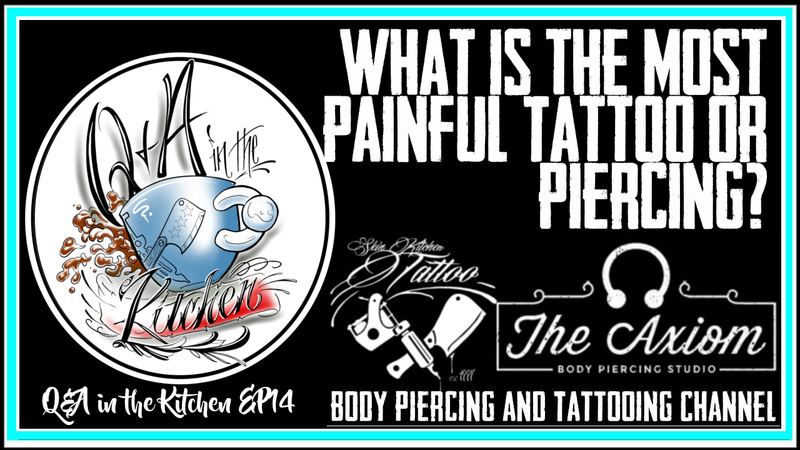 Jack Lowe and Westley Dickerson from Skin Kitchen Tattoo and DaVo from the Axiom Body Piercing Studio discuss what goes into designing a tattoo to cover up an old unwanted tattoo. 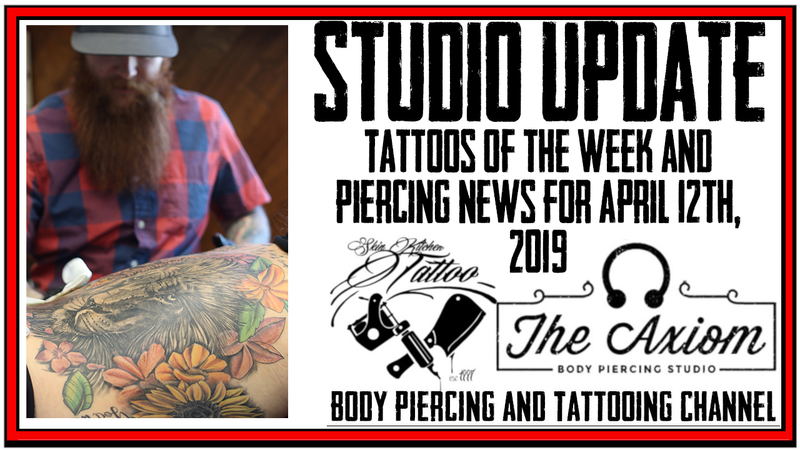 Also what is involved with re-piercing a piercing that has closed/ This in-depth discussion covers everything from what size works best to what colors and methods can be used to cover up an old tattoo and what the concerns are when re-piercing. 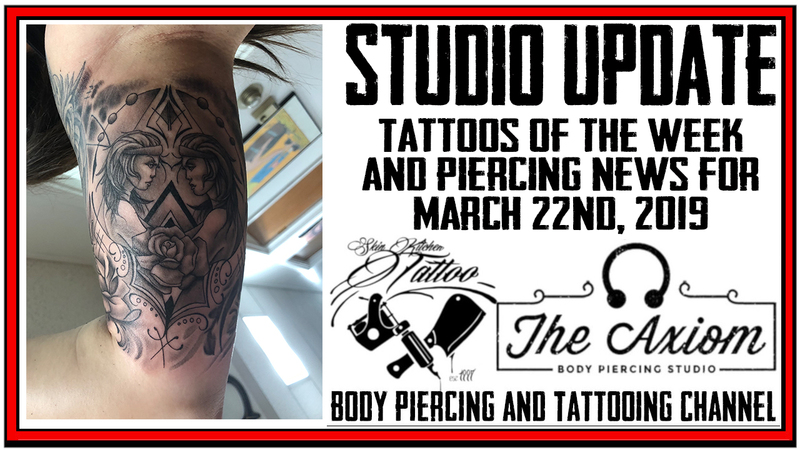 The latest Updates and News from Skin Kitchen and The Axiom Body Piercing Studio for March 22nd, 2019. Tattoos of the Week from Jack Lowe, and Westley Dickerson, and updates on what DaVo has been up to this week. 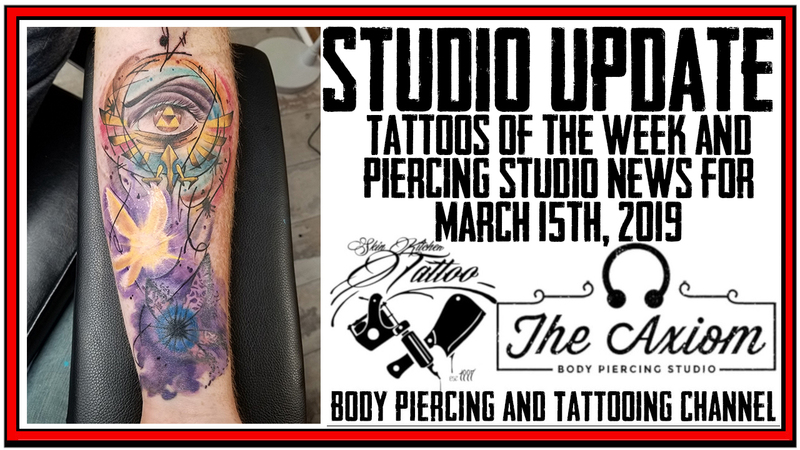 The latest Updates and News from Skin Kitchen and The Axiom Body Piercing Studio for March 15th, 2019. 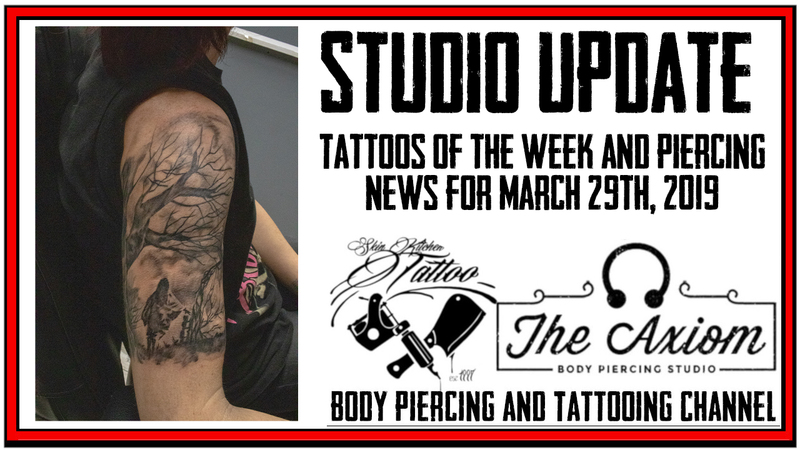 Tattoos of the Week from Jack Lowe, and Westley Dickerson, and updates on what DaVo has been up to this week.